Welcoming guests to the exhibition will be 15 three-dimensional sculptures inspired by Singapore’s unique blend of culture, humour, quirks and colloquialism. These intricately-carved sand artworks will depict various facets of Singaporeans’ everyday life, both past and present. Passing through the multi-sensory exhibits marrying visuals with audio in the story-telling, guests will discover sand works inspired by local experiences, situations and phrases such as “So Jialat!” ; “Blur like Sotong, Gabra like Zebra”, “Jiak Zua” and “So Wayang” to name a few. Guests can also look forward to these sculptures taking on new life with augmented reality. Users of the MixGo mobile app can catch special behind-the-scenes video features; enhance their experience with simulated photo frames and filters, as wellas gamification features that will provide added interactivity. 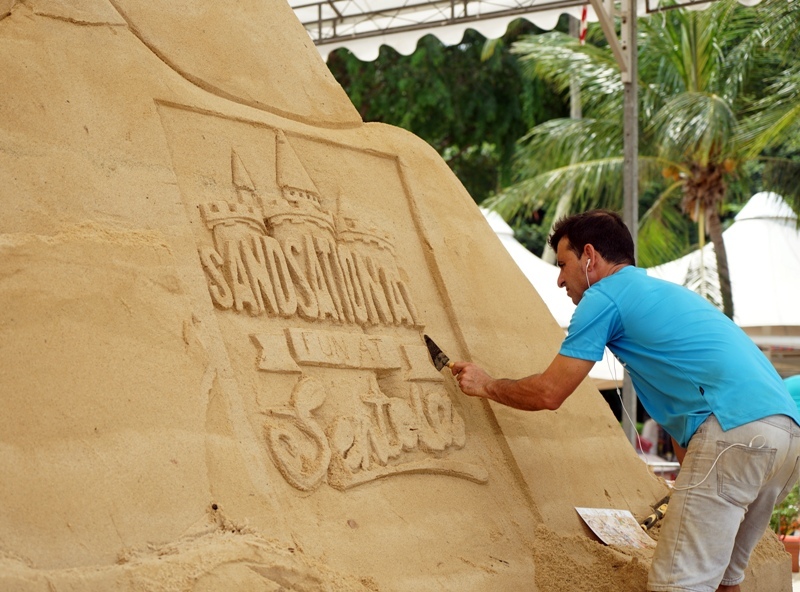 In the next zone, Sentosa will play host to 14 world-renowned sand masters from 13 nations across the world, who will be showcasing their creative sand works around the theme, ‘Imagination’. Among the renowned participants of the championship are Sudarsan Pattnaik from India, David Enguerrand from Belgium, Leonardo Ugolini from Italy, Sergio Ramirez from Spain, Borecki Wiaczeslaw from Poland, Calixto Molina from Mexico, Aleksei Shchitov from Russia, Bob Atisso from Togo, among others. These sand masters will pit their skills against each other from 28 – 31 August 2017, with the top three winners walking away with cash prizes totalling more than S$12,000. In the last zone, JOOheng will commemorate his 20th year of transforming ordinary sand into incredible artworks through a series of interactive sand art pieces. In this technique pioneered by JOOheng, guests will “step into” the art pieces and become part of the artwork. This showcase pays homage to his first solo exhibition held at Sentosa’s Palawan Beach back in 2010. The immersive sand work in this zone will be refreshed every week, and guests are welcomed to come back for a different view each week. 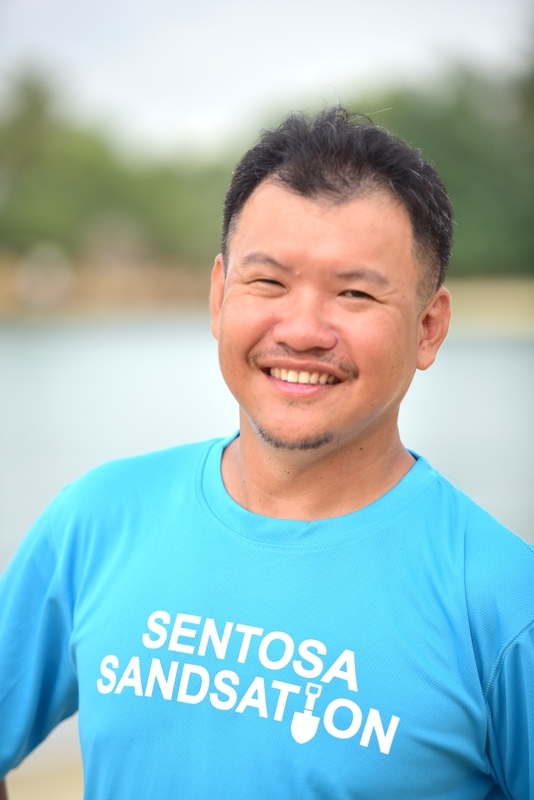 Visitors to Sentosa Sandsation between Mondays and Thursdays will be able to witness the master at work, while Sentosa Islander members will get the exclusive opportunity to snap a photo with the interactive sand works from Fridays - Sundays. In the final week of the exhibition, JOOheng will also translate a child’s imagination of Singapore’s future into sand sculpture. 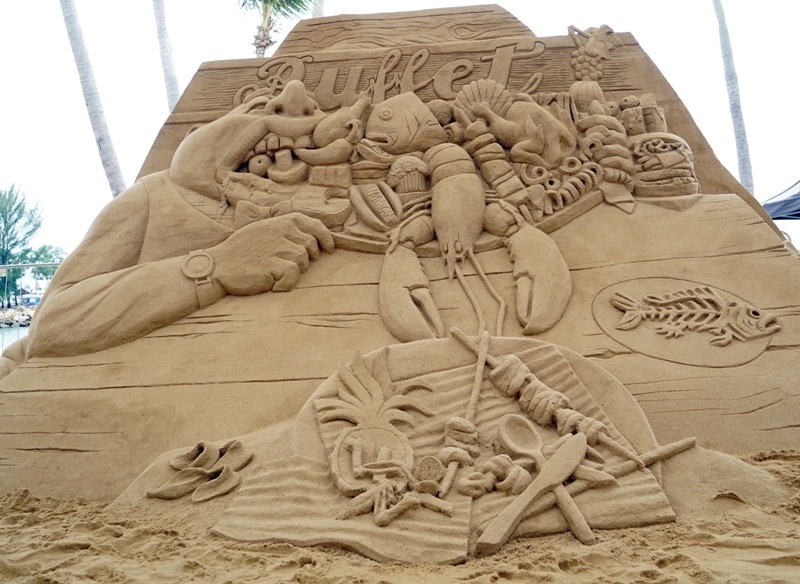 The image will be selected from Sentosa’s Children’s Drawing Competition held from 10 – 28 August in conjunction with Sentosa Sandsation. As they tour the exhibition, guests can take part in the People’s Choice Awards and pick their favourite sand sculpture by simply taking a photo with their favourite sand artwork, posting it on Instagram with the hash tags #SentosaSandsation and #SandsationalContest, while stating the reason(s) for their choice. 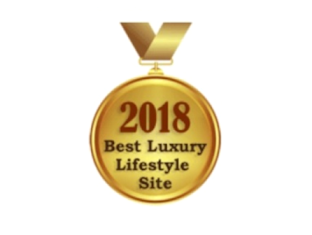 A winner will be drawn from the entries featuring the most popular sculpture, and he/she will walk away with a 2D1N Sentosa staycation package. Results of the People’s Choice Awards will be announced after 20 September 2017. 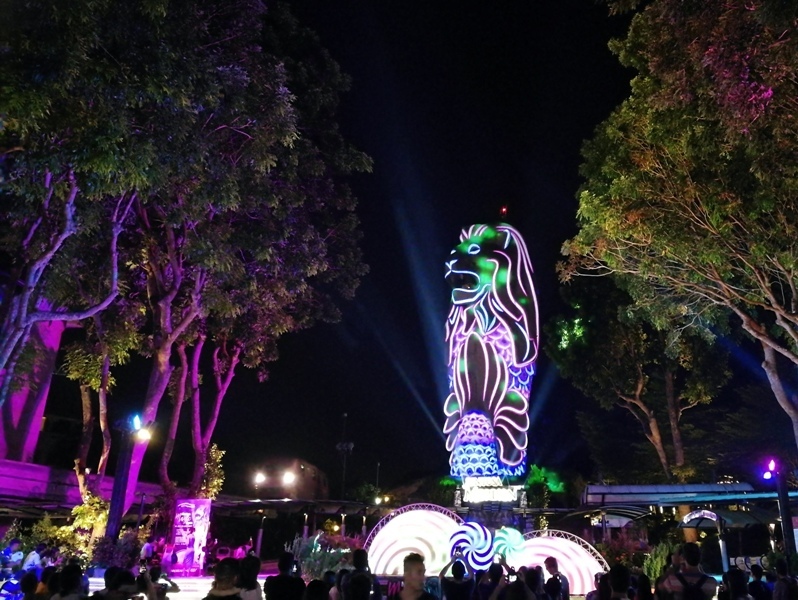 When night falls, not only can visitors take in the sights at Sentosa Sandsation with lighting effects, they can also head over to the Merlion Plaza and be entertained by the dazzling Merlion Magic Lights. This iconic and ever-popular light and music show will feature a new neon theme starting 1 September. Be sure to catch it daily until 29 October, starting at 7.45pm, with 30-minute show intervals until 9.15pm. Two additional shows will be held on weekends, eve of public holidays and public holidays. From 2-3 and 16-17 September, guests can also choose to wind down the day at The State of Fun with beach-themed films at Movies by the Beach sited at Palawan Green. 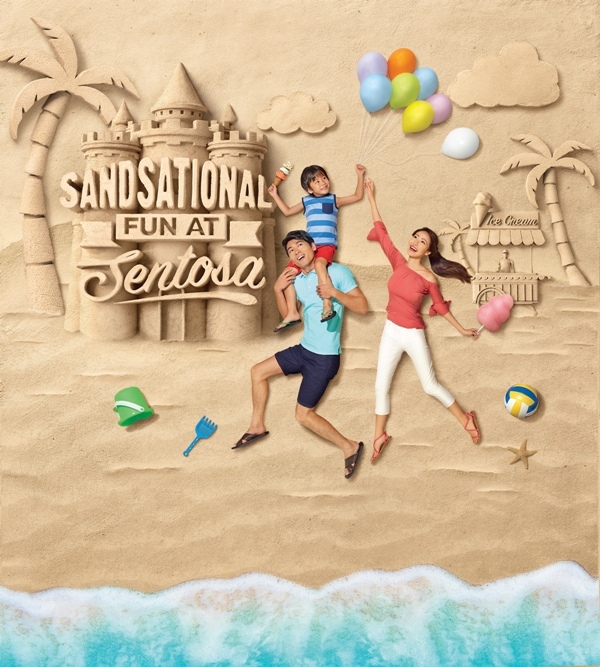 Getting to Sentosa Sandsation 2017 will be a breeze with special Sandsational Fun Ride deals. 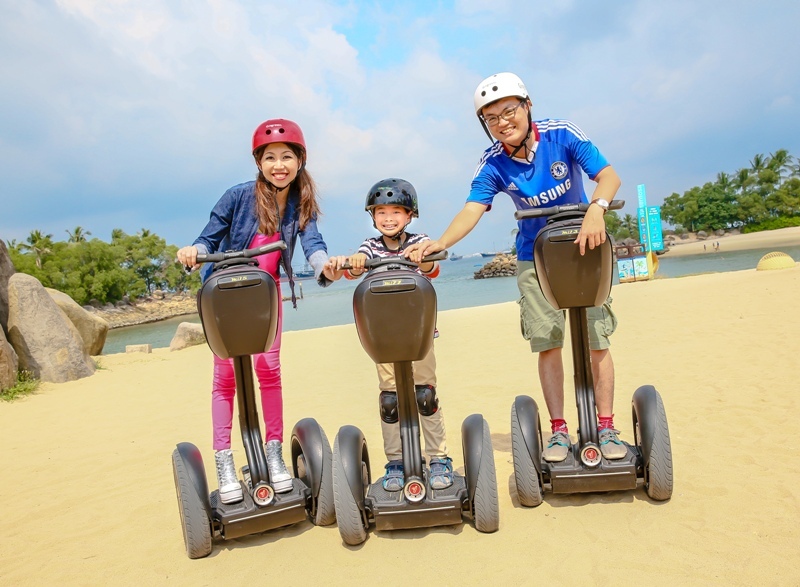 On offer are special deals including 50% off a one-way ride onboard the Segway miniPro from Beach Station to the event site, and 20% off the unlimited Cable Car Sky Pass (50% off for local residents). 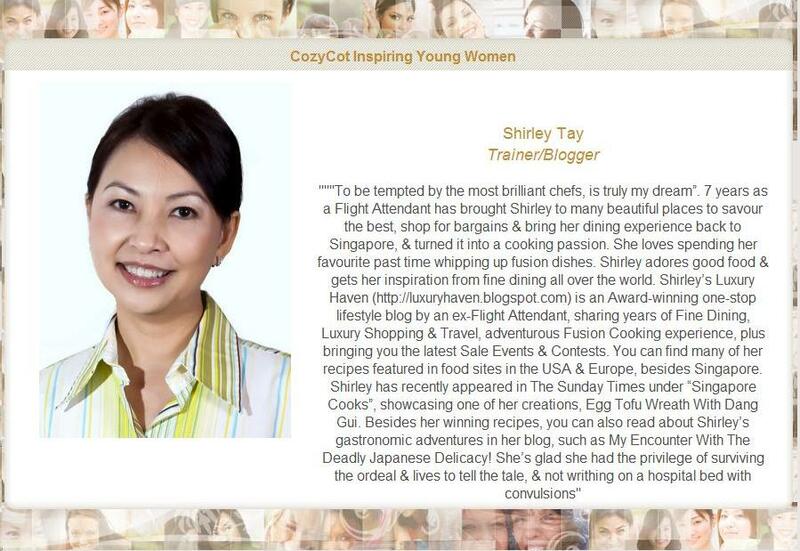 These tickets can be purchased online at http://store.sentosa.com.sg or onsite. In addition, guests will also get to enjoy an additional 10% off at the event’s food kiosk, Wavehouse Sentosa and Good Old Days by flashing any of the abovementioned Sandsation Fun Ride tickets. After soaking in the sun, sea and sand, guests can cure their hunger pangs with thematic food and beverage offerings at the event’s kiosks and beachside establishments. Gelatissimo at the Beach Station, for example, will introduce a special combo deal for its “sandsational flavour of the month” – the Pineapple Carnival Gelato, from 1-17 September. Elsewhere on the island, the month of September will continue to thrill with various activities including ONE°15 Marina Club’s 10th Anniversary Celebration on 10 September, The Great Food Festival at Resorts World Sentosa from 21-24 September, as well as the 29th Southeast Asian Beach Volleyball Championship (28-30 September) at Palawan Beach. To find out more information about Sandsational Fun at Sentosa 2017, please visit www.sentosa.com.sg/sandsation or call our hotline at 1800-SENTOSA (7368672). Do stay tuned to Sentosa’s digital platforms for more event updates. I would love to visit the place and see the sand sculpture. Fun and happiness. Would love to be in Sentosa for this festival. Omg... so much fun! I wish I were there to experience this. Wow! This sounds exciting now. 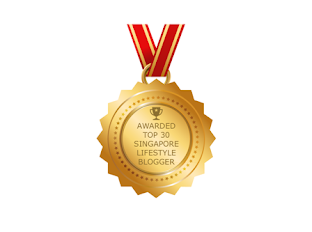 I had seen ice carvings in Seoul and Snow festival in Sapporo. Now I must see Sandsational in Sentose. Will you show me around?? That's a fun place to visit. Can't believe they built those big structures with sand. True sand artists to create sand sculptures like that. Sounds like a fun festival! 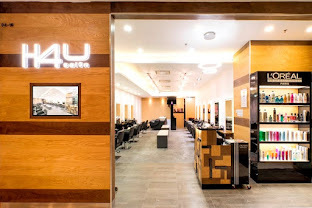 Wow, I would love to go there! Amazing sculptures! Such a nice festival! 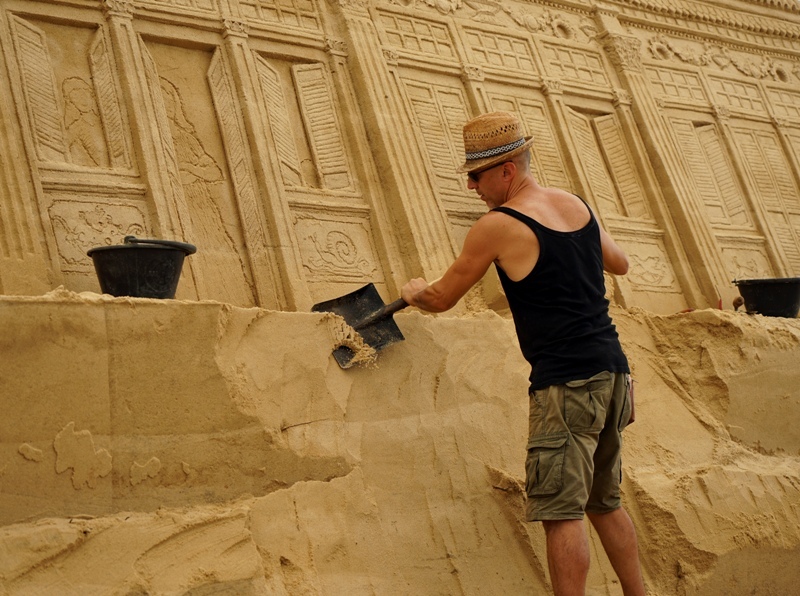 At this Sand Festival are really masterpieces produced! 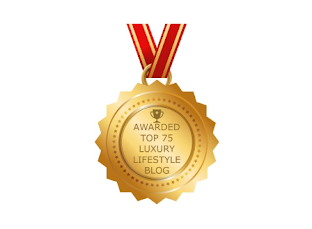 Very awesome. 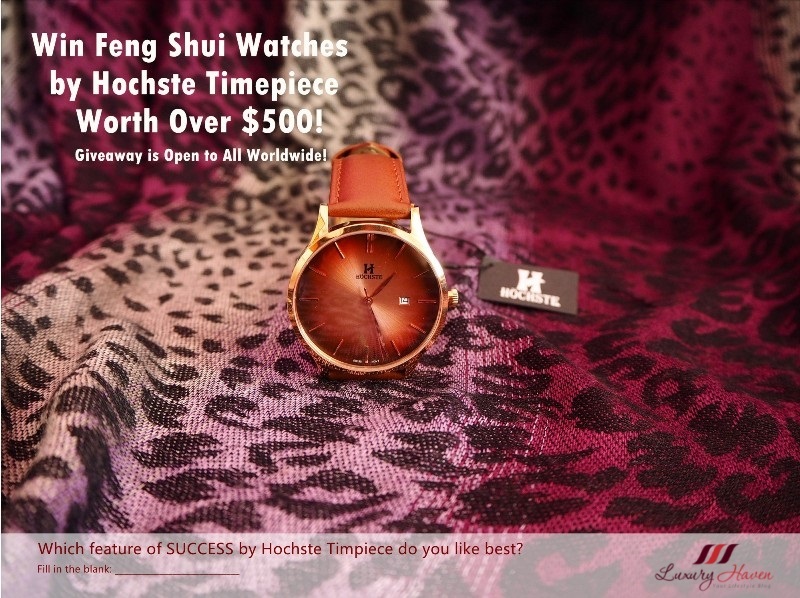 Wow I had no idea something like this existed - it looks amazing! !